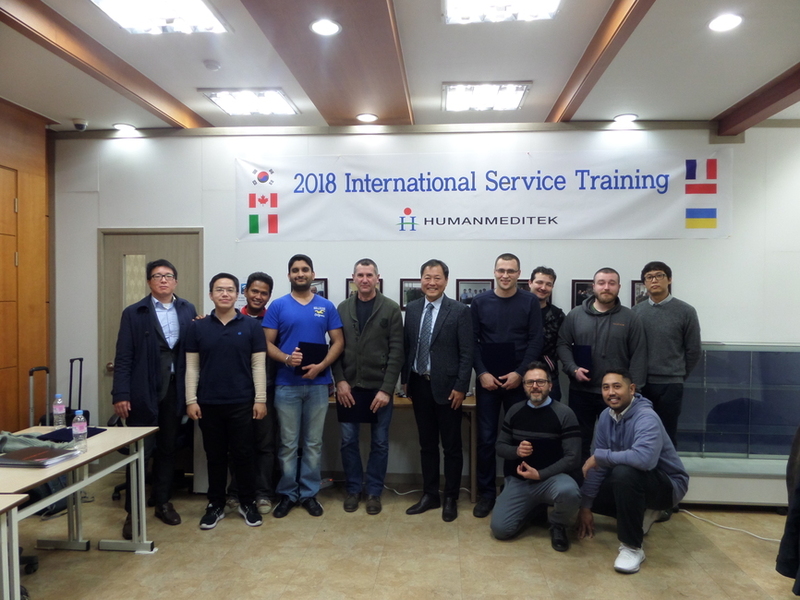 International Sales & Technical training was held by HUMAN MEDITEK from January 17th to 19th at HUMAN MEDITEK’S head office in Korea. More than 13 engineers from 5 countries attended to the training session. International Sales & Technical training was carefully prepared to the trainees’ convenience. IST 2018 was successfully held with well-organized curriculum and trainees’ strong enthusiasm.